Susan mentioned this challenge in her blog some days back and I decided to use this as an excuse to practice more photo-to-simplified piecing. The challenge called for "plenty of visible machine stitching", so I chose built-in machine stitches as embellishment. 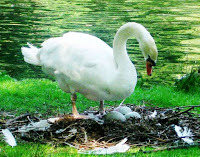 Here is the photo to be used as inspiration. 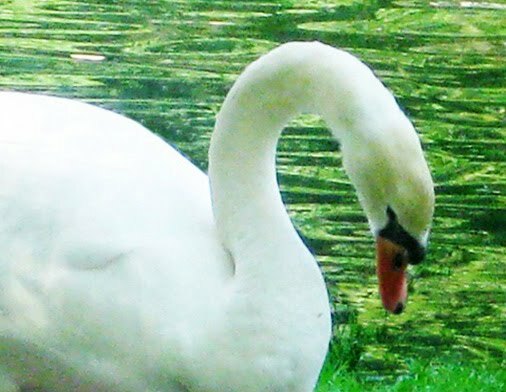 I liked the lines of the head and neck, so I cropped the photo to this. 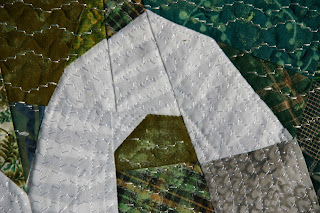 Using Quilt Assistant software I created a simplified piecing pattern. Here's the final piece, with some detail shots of embellishment using built-in stitches on my Pfaff Creative Vision. 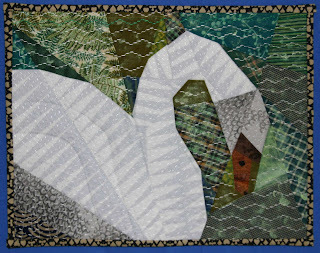 If you are a member of the Quilting Arts community, you can see all the entries and vote for your favorite, starting Monday, May 3, on the Quilting Arts site in the “Stitch This!” photo gallery. Voting closes on Monday, June 28, 2010, at 12:00 PM EDT. 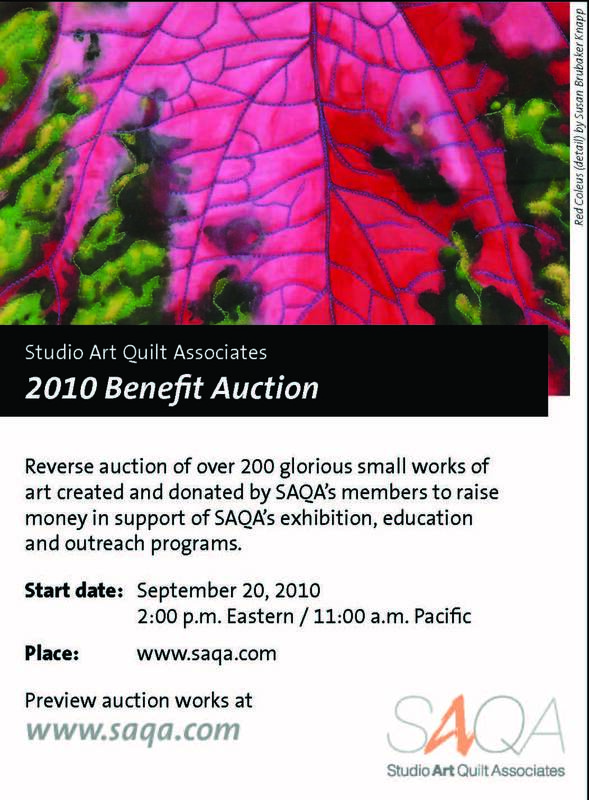 I got word last night that my work Red Coleus is featured in an advertisement for the SAQA Auction! 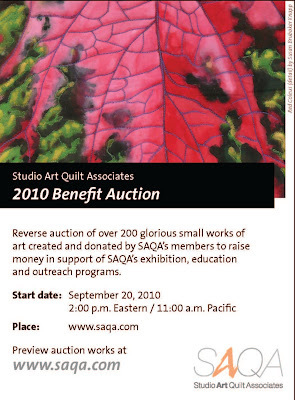 SAQA, or Studio Art Quilt Associates, is a group of fiber artists, and this auction of several hundred small art quilts donated by its members brings in a lot of money each year. The money raised goes towards SAQA’s exhibtions, education, and outreach programs. 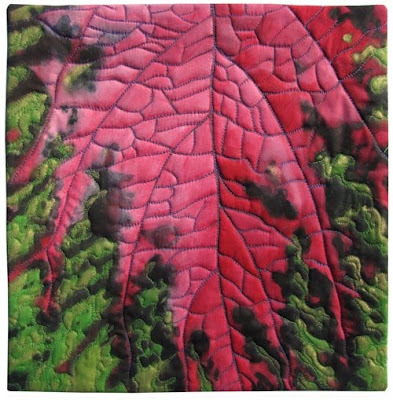 If you are a fiber artist and don’t know about SAQA, you should! 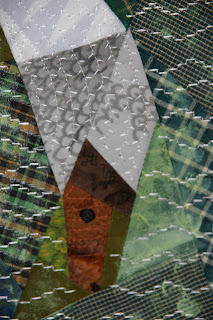 SAQA offers so many things for fiber artists who are serious about their art. There are great professional development opportunities, including conferences and programs, exhibitions, online galleries, and publications. 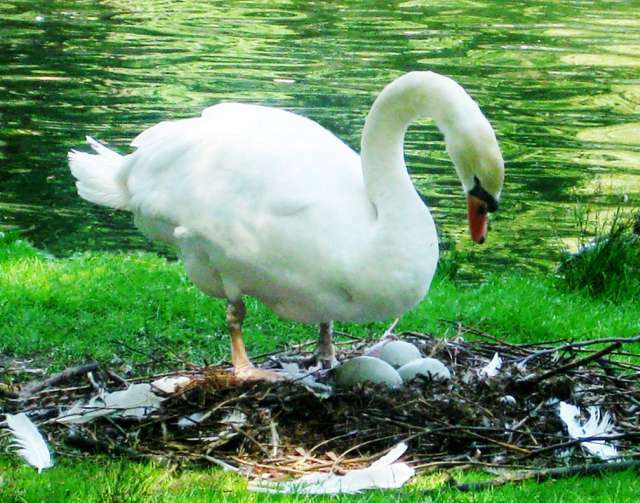 You can join as an active member, professional artist member, or as a student member.